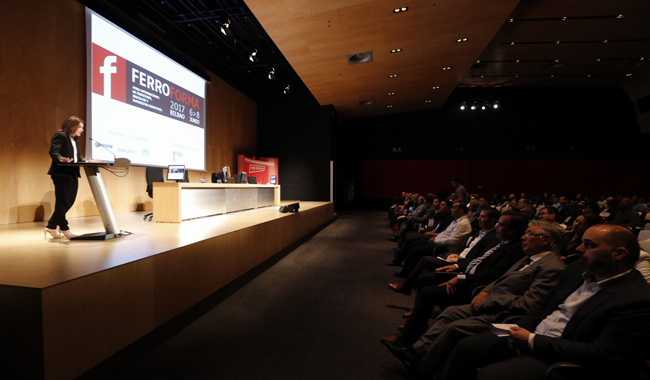 The international purchaser delegations who will be visiting FERROFORMA are already at BEC. The guests, who come from countries such as Algeria, Argentina, Colombia, South Korea, US, France, Iran, United Arab Emirates, Morocco, Mexico, Nigeria, Peru and Portugal, arrived at BEC this morning and attended an official reception in the Auditorium. Cristina Campo, Visitors’ Area Director at BEC, and Miren Aranburu, General Secretary of Eskuin-Hardware and Industrial Supply Cluster, took part in the event and gave practical information about the trade fair and data for the sector. The 23 companies in the cluster had a turnover of €338 million in 2016, 6% more than the previous year.